Local emergency officials are responsible for planning, coordinating, and conducting emergency preparedness and response activities. Their role is critical in ensuring communities are prepared to take action consistent with the pipeline operator’s and other emergency responders’ programs. 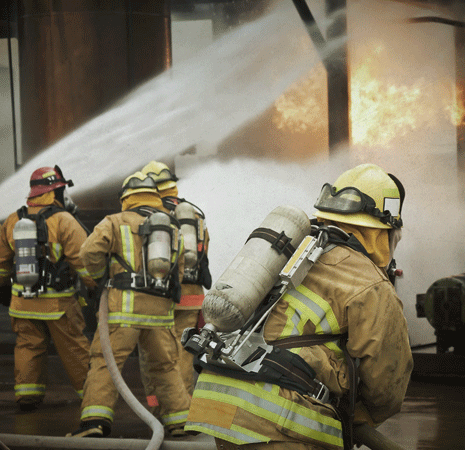 Pipeline operators are required to share relevant information from their emergency plans with emergency officials. 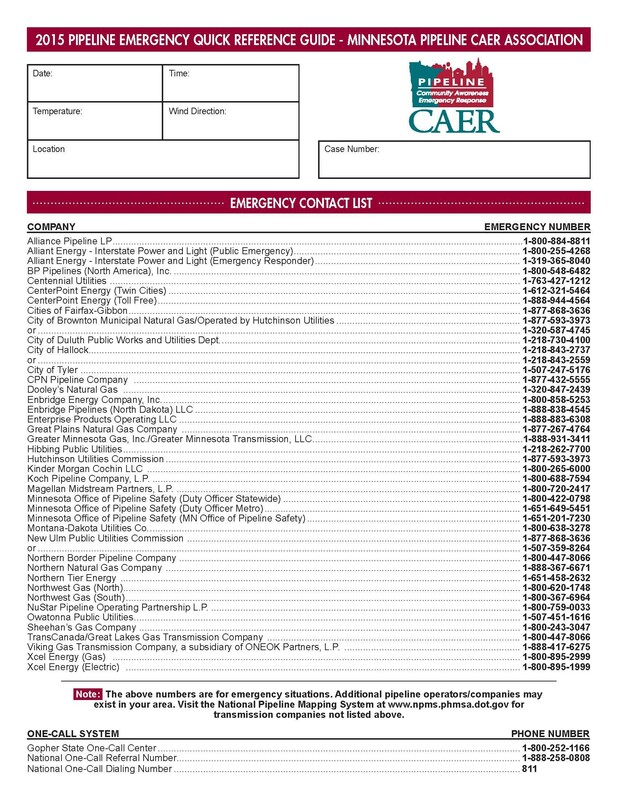 Pipeline operators are also required to establish and maintain communication with local emergency officials and coordinate planned and actual responses during an emergency. Learn more about what emergency officials can do to impact pipeline safety by reviewing the information contained on this website, attending a meeting, or just by getting to know the pipeline operators in your area. On behalf of MN Pipeline CAER, Koch Pipeline, Public Awareness Coordinator Kim Woldengen (right) presents Frazee Fire Department Chief Paul Thon with a $1000 check. 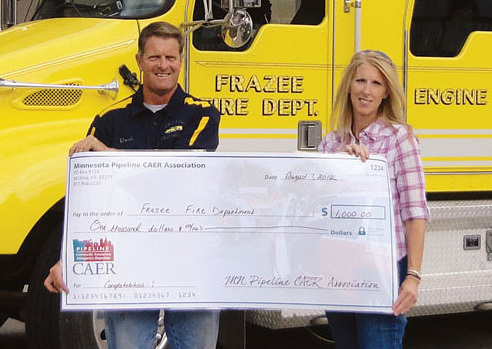 Frazee Fire Department is one of six agencies to be awarded $1000 based on their attendance at one of MN Pipeline CAER’s 2012 programs. 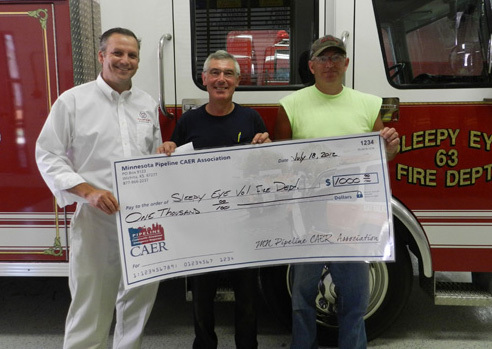 On behalf of MN Pipeline CAER, Alliance Pipeline’s Public Awareness Coordinator Jon Eisele (left) presents Sleepy Eye Fire Departments Chief Tom Moldaschel and 1st Assistant Chief Ron Zinniel with a $1000 check. Sleepy Eye Fire Department is one of six agencies to be awarded $1000 based on their attendance at one of MN Pipeline CAER’s 2012 programs. Photo by Dan Munthe. There are no upcoming meetings in your area. Check our meeting schedule page to see when programs should be available.